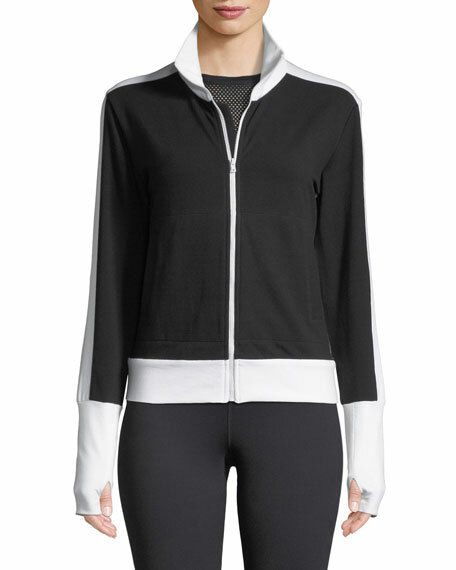 Norma Kamali performance jacket with slimming side stripes. Innovative designer Norma Kamali is known for groundbreaking creations such as sleeping-bag coats, dresses made from silk parachutes, and packable clothing that can be worn 10 different ways. The New York-based designer's swimwear line (which debuted in 1974) is inspired by the glamorous pin-up silhouettes of the 1950s. For in-store inquiries, use sku #2536733.